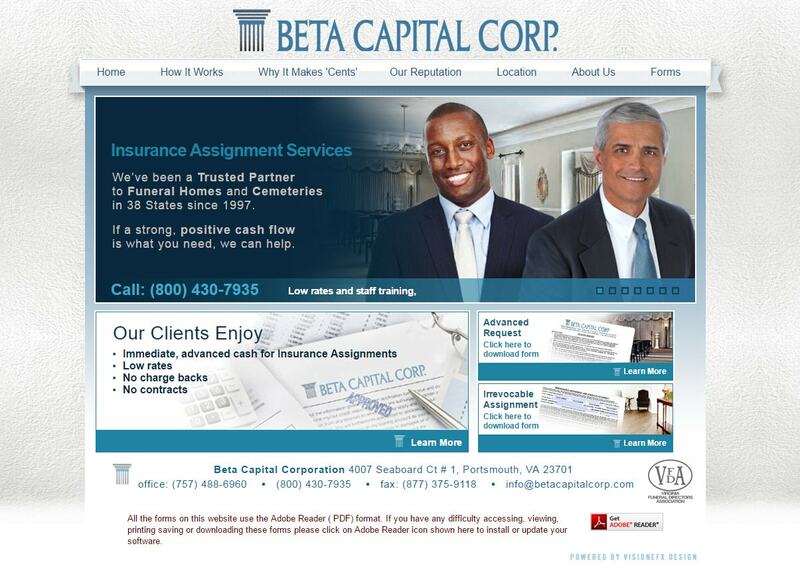 Website Design Development Portsmouth VA | Beta Capital approached VISIONEFX to design a website to simplify the complicated process of the funeral funding process. In addition to designing a mobile friendly website design, word docs were converted to write-enabled PDF files for easy contract management. Beta Capital Corporation has offices located in Portsmouth, VA.